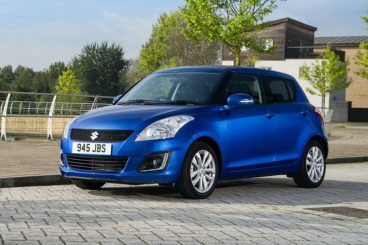 For one reason or another, the Suzuki Swift is often the last one chosen in the supermini sector, but the Suzuki Swift is certainly looking to improve sales figures. Indeed, it’s hard to see why this fun and low-priced supermini is so often overlooked; it looks good, and does pretty much exactly what supermini buyers expect. 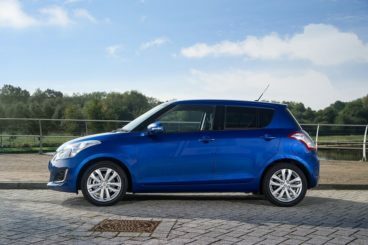 Let’s take a closer look at what it offers in our Suzuki Swift Review. One of the major selling points of a supermini is that it makes driving around a city fun and easy. If a supermini can’t handle the many twists and turns driving through traffic into a nightmare, it isn’t going to sell. The Suzuki Swift has no such issues, as its responsive steering lightweight body allow it to dash about like the best of them. Moreover, its compact dimensions ensures that it’s easy to park too. Handling is also great out in the country, where the car feels nimble and nippy. It’s a supermini city car that can also be enjoyed out in the open. The downside of any Suzuki Swift deals is that only one engine is available, a 1.2-litre petrol that develops 93bhp. With no diesels on offer, this is the power plant that all buyers have to utilise. The good news is that it’s actually a strong performer, and can get to 62 mph from rest in a reasonable time of 12.3 seconds. That nudges it ahead of the Volkswagen Polo, though refined this car is not. The lack of a diesel might be irksome to a few, but we’d contest that most supermini buyers make frequent short trips around the city as opposed to longer journeys, and for this reason a diesel isn’t wholly necessary. The petrol engine is wedded to a Suzuki Swift automatic gearbox. 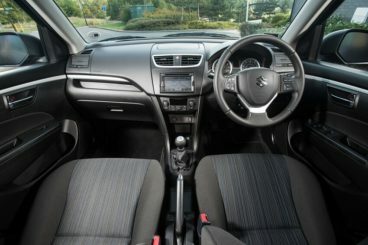 You can get hold of a Suzuki Swift for less than you can a MINI or a Volkswagen Polo, and this is something that is made crystal clear when you step inside, where cheap-looking plastic sets the dated tone. Some of them feel hard and the impression is decidedly low-rent. Still, the dashboard is simple and user friendly, whilst the seats are comfortable – though far from being best in class. And we’d have to argue that, although practicality is certainly never a supermini’s strong point, you can’t help but get the feeling that the brand could have tried a little bit harder in this respect. 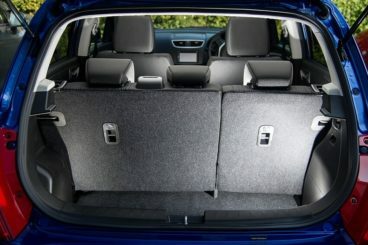 It is bigger now than it was originally, but it still falls short size-when of, say, a Nissan Note when you step inside. Headroom is poor, but storage room is surprisingly decent, and the new Suzuki Swift does have kids appeal, with long door bins available for bottles and sweets. The boot offers up 211-litres of space which is disappointing. 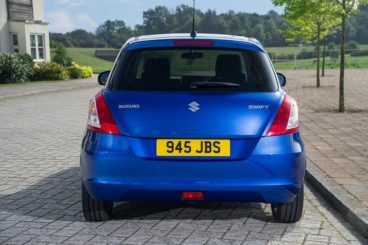 The Suzuki Swift for sale price starts out from £8,999 and rises to about £14,000, whilst buyers can get their hands on a used Suzuki Swift for a little less. There are five trim levels to choose from: SZ2, SZ3, SZ4, SZ-L and Swift Sport. Standard Suzuki Swift accessories across the range are exemplary and include LED daytime running lights, a fuel consumption display, electric front windows, heated door mirrors and front fog lamps. If you opt for the SZ3, you’ll be treated to alloys and air conditioning, whilst the SZ4 comes with keyless entry and tinted windows. Options include sat nav and rear parking sensors. And because the Suzuki Swift only comes with a single engine choice, running costs are going to be limited to 56.5mpg, whilst the 1.2-litre petrol emits 116g/km of CO2. This means it will cost £30 a year to tax. The Suzuki Swift certainly has its pros and cons, which invariably tags it with the moniker ‘a mixed bag.’ For supermini lovers, it pretty much has everything you could ask for – great handling in the city, agility when it comes to parking, and an enjoyable ride. But for anyone who wants it to do a bit more – such as offer up good amounts of practicality and space – you’ll probably want to look elsewhere. In a nutshell, the Suzuki Swift is a consummate supermini – nothing more. Fun, trendy – capable. If you want to get hold of the new Suzuki Swift don’t hesitate to leave us a message on our contact page, or give us a call on 01903 538835 to find out more about our Suzuki lease deals.